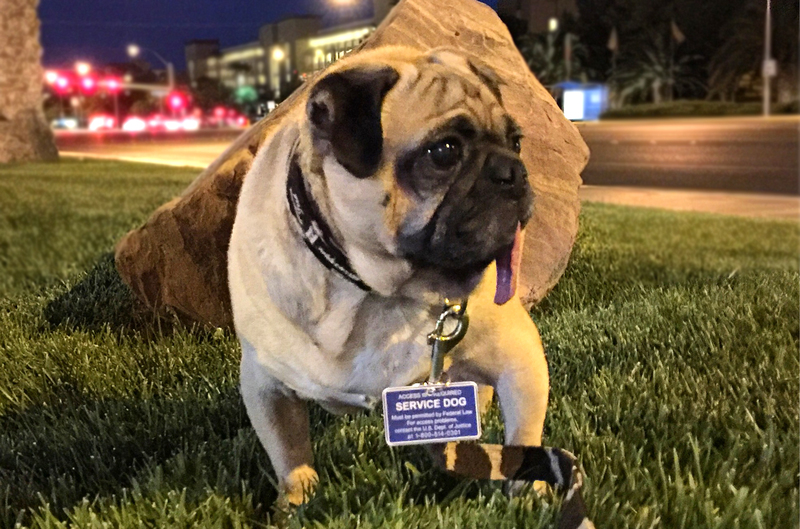 Meet PugsleyLuigi the Service Pug! His name is long, his heart is big, his skills are real!! Pugsley is a trained service dog. His owner has Ventricular Tachycardia, a heart condition where the heart can suddenly speed up and lose it’s correct rhythm. Pugsley detects this before it happens, and can bark alert his owner Jan if she is going to have an episode. 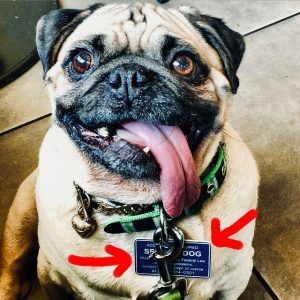 This condition can be deadly, and Pugsley barks according to the severity, allowing Jan to get to a safe place, or even to the Emergency Room, in time. He is quite literally a life saving dog! 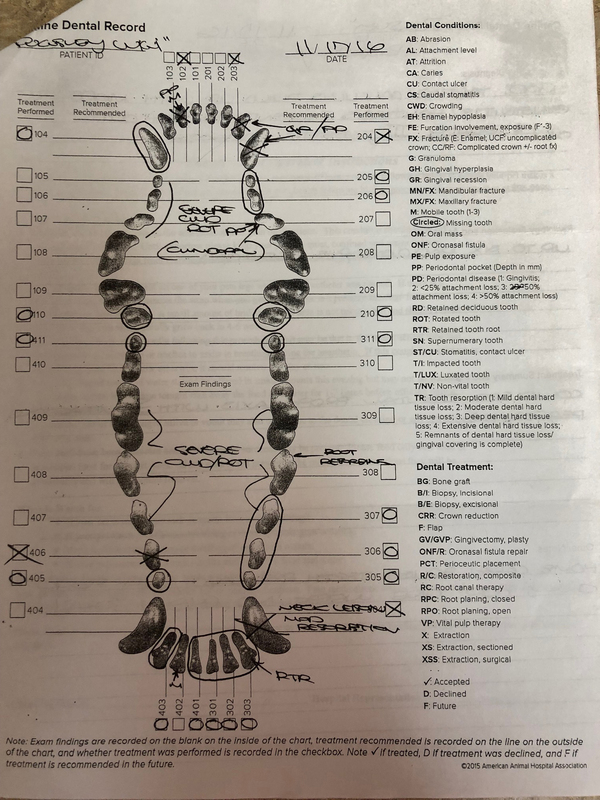 Unfortunately part of one tooth was left in during this procedure and later became infected severely damaging his jaw. It was repairable with a bone-graft but he has been left even more sensitive to dental issues. Because of her medical condition his owner Jan has reduced her income a lot, and now gets by on Social Security of just about $1000 a month. 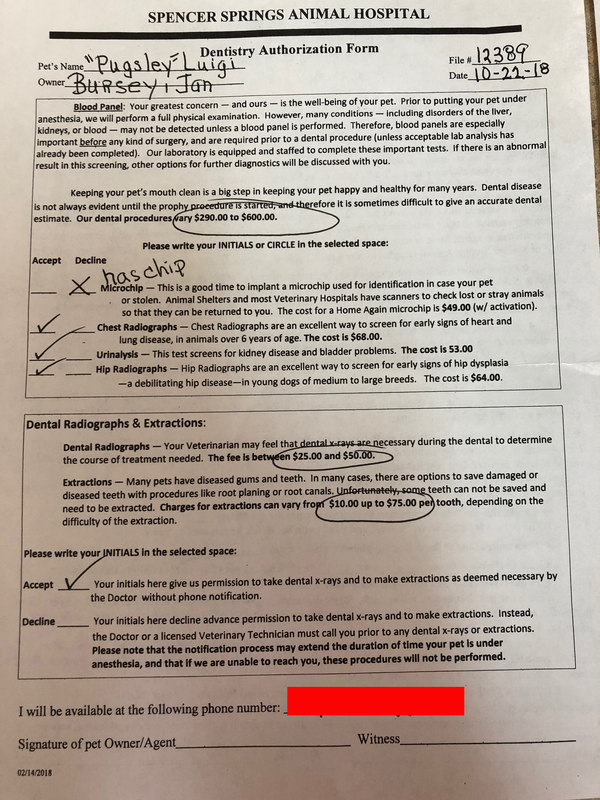 She just cannot pay for much more than Pugsley’s regular check-ups… but his breath has gotten bad and she has noticed some issues with his teeth. Taking him into the vet, they say he needs another dental surgery! 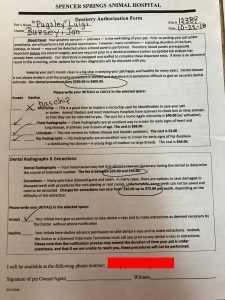 Pugsely is nine years-old, and so surgery also means a blood work up, and Jan just does not have the money, nor the potential to save up the money, for this procedure! Let’s help Pugsley and Jan! Jan loves Pugsley and he is her full time companion, but he is also her life-line! Pugsley has saved Jan’s life previously, and he will probably do so again. 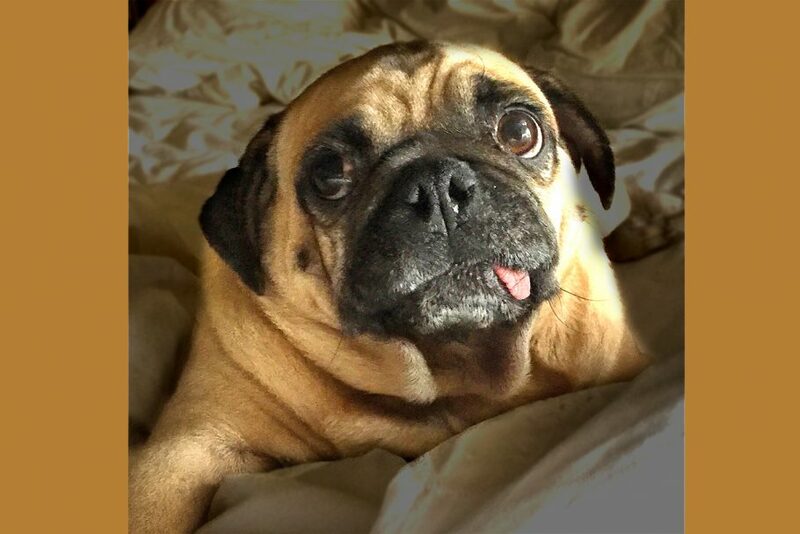 Her condition comes on with no warning, and sometimes is not detectible by her or a doctor without specialized equipment, BUT PUGSLEY KNOWS! All donations here will only be paid to Pugsley’s vet, who is working on giving a substantial discount on the price of his tests and surgery. 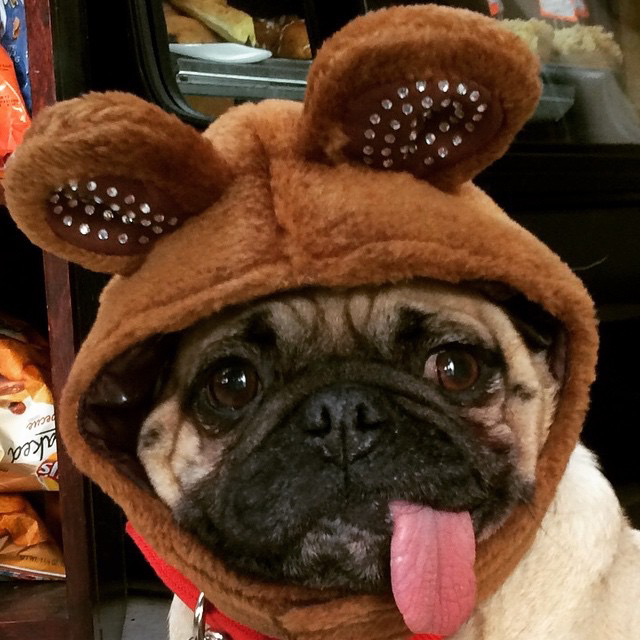 Your donation goes a long way to help Pugsley and his mom! Can you donate to help today!? 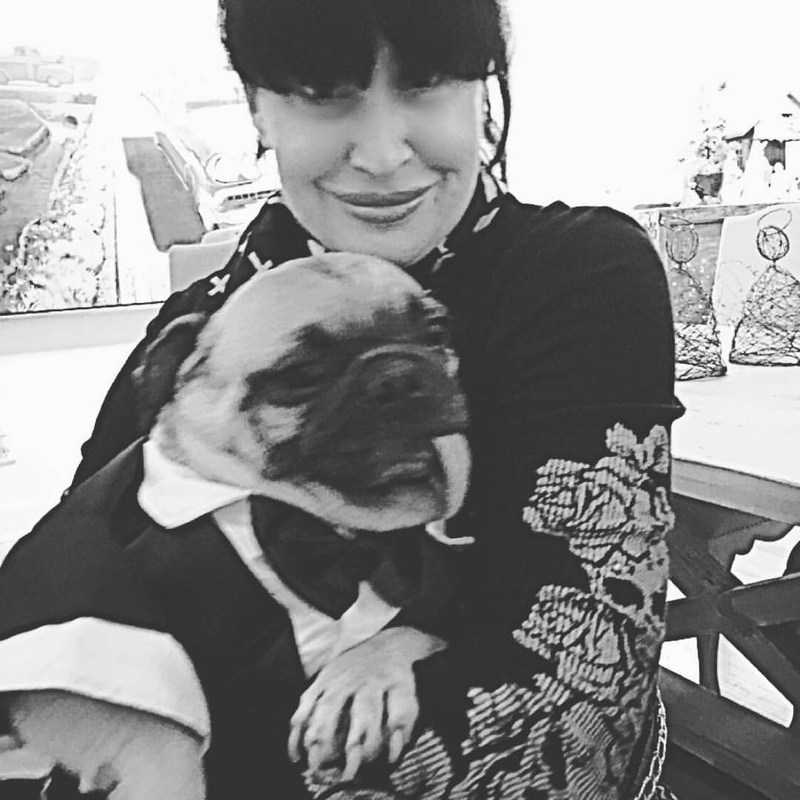 Thank you so much for supporting Pugsley and me in this trying circumstance. We are so grateful! We are grateful for any amount of support and assistance! Thank you!! In this world of tragedy, everyone should make it a goal to save at least one life. We have to watch so much suffering and it’s rare to have the opportunity to change any it, so we should do so in those rare moments that we can. I wish I could help everyone else. 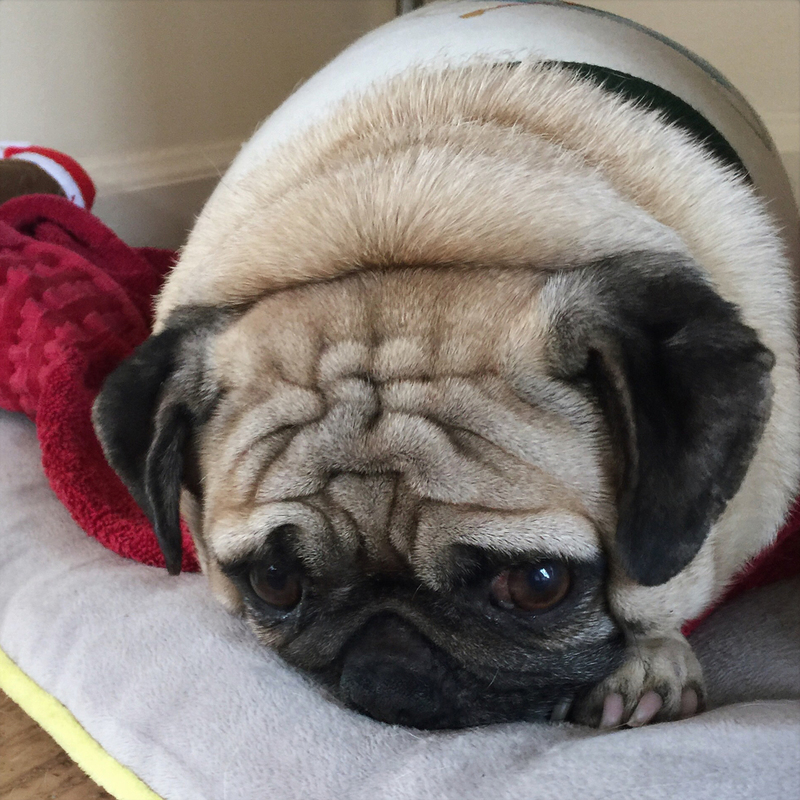 Thank you for helping Pugsley get his surgery. It’s the best Christmas present I could ever receive. He was suffering, and now he’s well. Thank you! 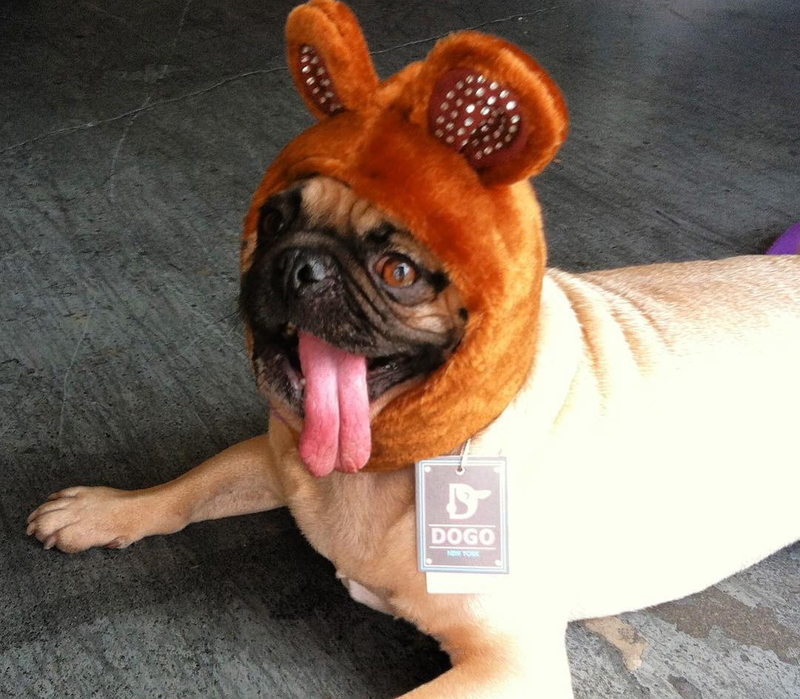 PugsleyLuigi and I want to thank everyone who made contributions to his medical fundraiser campaign. He is scheduled for surgery this Friday, December 21st. I’ll be dropping him off early that morning, probably in my pajamas. Please keep us in your thoughts that his outcome is great. He truly is my lifeline. Also, we are 88% funded and hope our campaign will be shared resulting in our goal of 100% funding. Again, thank you to everyone who helped. Much love, and have a wonderful holiday season! I said in as a new year resolution that if I seen a dog in need of donation for surgery I will donate $10 to do my part. But why wait ? 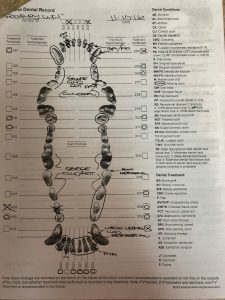 This dog has some special skill and is so important for it owner. 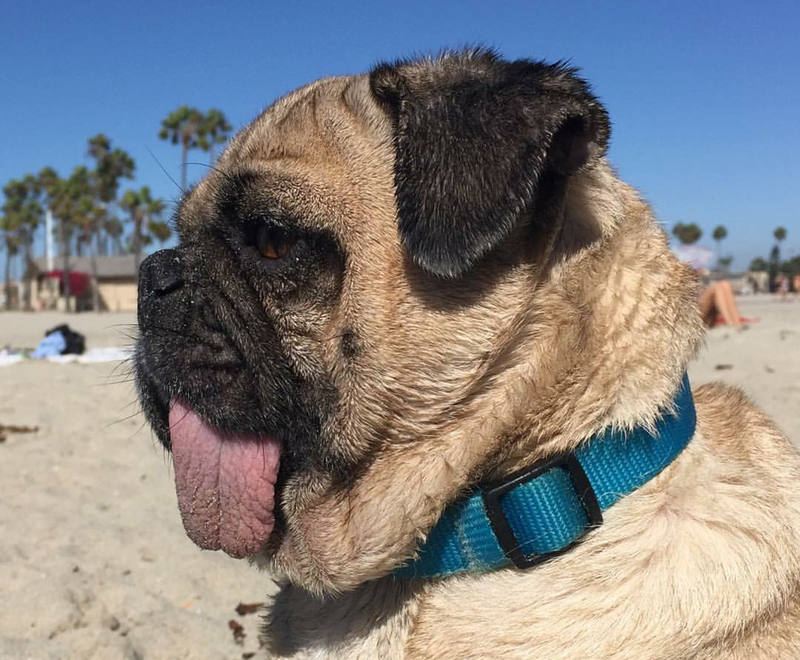 Thank you for contributing to Pugsley’s much needed surgery. I love your new year’s resolution! Also, thanks for pointing out the necessity of service dogs and their vital rolls. Pugsley takes his tasks extremely seriously, and is my hero. Your generosity, especially at this holiday season is a blessing Pugsley and I won’t forget. Pugsley is a happy Pug this Christmas morning! Thank you for helping him have a wonderful life! I said in as a new y…ear resolution that if I seen a dog in need of donation for surgery I will donate $10 to do my part. But why wait ? This dog has some special skill and is so important for it owner. In this world of tra…gedy, everyone should make it a goal to save at least one life. We have to watch so much suffering and it's rare to have the opportunity to change any it, so we should do so in those rare moments that we can. I wish I could help everyone else. Wish I could do more….